Gone are the days of “dad” being the fisherman of the house and mum and the kids staying at home. 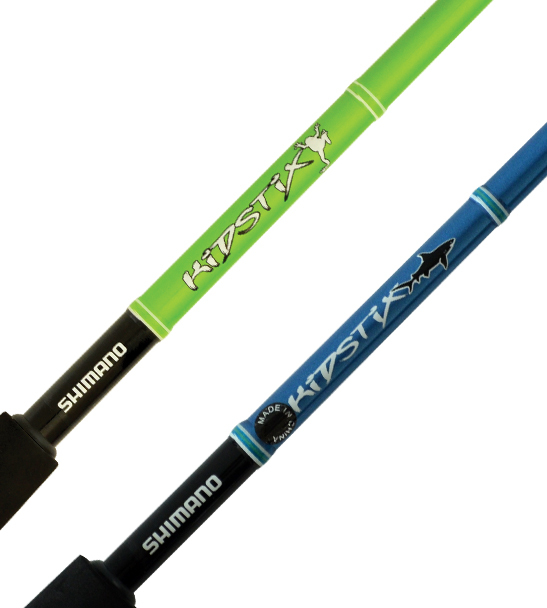 Fishing has become a family past time and Shimano Fishing New Zealand has recognised this and designed a new series of rods in Kidstixs range. Features include a blank that is big on toughness, a graphite reel seat, ceramic guides and cosmetics that will have both boy and girl junior anglers hooked!